MT4 and binary options technology provider, TradeTools FX, has announced that they are waving transaction fees on their MT4 bridge. MT4 and binary options technology provider, TradeTools FX, has announced that they are waving transaction fees on their MT4 bridge. The news is coinciding with the US July 4th Independence Day holiday and they are using the occasion to rebrand their MT4 bridge as the ‘MT4 Freedom Bridge’. According to the company, the move is meant to save brokers from per million transaction fees which they believe can amount to tens of thousands of dollars a month for brokers processing over a half yard of volume a day. 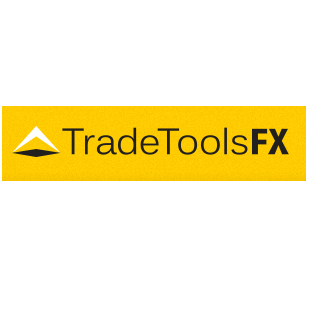 As an alternative to volume based revenues, TradeTools FX charges brokers fixed monthly support fees that increase based on the scope of services provided. 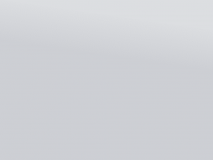 The flat fees also cover connection to the firm’s FXLite trading platform product. Transactional costs still exist with their binary options and MAM offerings. According to the firm, their clients currently process nearly $100 billion in trades per month through their MT4 bridge product. The move from a volume to service fee revenue model was a topic that was discussed in an article earlier this year in regards to MetaQuotes launching a MT4 to MT4 liquidity gateway. Currently, the major bridge providers offer a model where they are compensated based on volumes that are processed through their bridge, while providing additional services for free. At the time, it was theorized that if the new product from MetaQuotes proved stable and scalable, it could attract smaller brokers that were more cost conscious to switch to it from using a third party bridge provider. As such, it was written that the result of MetaQuotes expansion could lead to some providers moving to a flat fee model. 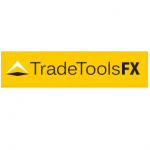 In the case of TradeTools FX, the move is based on the firm striving to attract forex brokers who ultimately also become users of their volume based binary options product. While the change isn’t the result of MetaQuotes entrance into the market, it does introduce the flat fee structure into the marketplace which could trigger similar arrangements from other providers. Michael, yes this is indeed true. We don’t disclose company names for confidentiality reasons but we can attest that our largest client is an Australian broker that executes between $80-85B per month over our bridge. @Jim – playing with it, I have to agree that the odds are terrible. In essence it is like using an OCO order on every trade, being sent with both a target and stop loss. The difference is the lack of expiration. I think the idea makes sense as far as a marketing it as a beginner platform to draw new users who eventually move to something else. I don’t think it will go anywhere though unless pricing become more competitive. Fair enough. We will work on getting quotes and testimonials. In the meantime, the important point is TTFX is saving brokers $200K per month (assuming $2 per million) in bridge fees by using our MT4 Bridge. Have to make money somewhere. Probably getting rebates from a provider charging excessive markups and spreads. have you tried to buy a normal domain name lately? In order to further clear up any confusion, the bridge is free. We eliminated volume-based bridge fees. Fees we charge are tied to other products, such as our MAT or Binary Options offerings. They do not apply to the bridge. 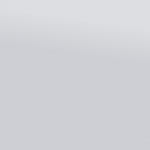 Brokers can use our bridge for free and can connect to whichever Liquidity Provider they want. There is no fee for us to connect to an LP. There are no hidden fees. There are no markups (excessive or otherwise). So the bridge is essentially a philanthropical endeavour, i suppose..